Heat & eat veggie noodles in creamy cheese sauce!? YES, PLEASE. This totally tastes like Kraft mac & cheese… and that is a VERY good thing! 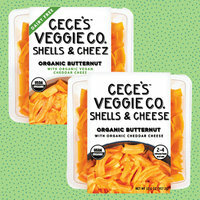 Choose from the regular Shells & Cheese and the vegan-friendly Cheez option. Both awesome! Find them in the refrigerated produce section of select Whole Foods and Sprouts locations nationwide. We'll take ALL the grab & go chicken snacks, thankyouverymuch! 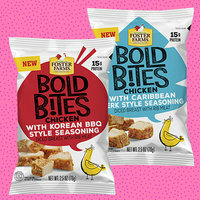 This new line features diced chicken breast with one of five seasoning styles: Caribbean Jerk Style, Chile Verde, Cajun Style, Korean BBQ Style, or (the HG favorite) Parmesan Garlic. Uh, YUM! Tear into a bag as a midday snack, or add a perfectly portioned pouch to a meal: Salads, wraps, soup… You name it! 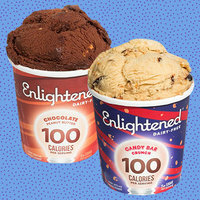 Find Bold Bites in the refrigerated section of major retailers across the West Coast. Today's Happy Chew Year Challenge isn’t food related, but it’s FUN: Post a pic of your favorite nail polish color on Facebook or Instagram with the #HappyChewYearChallenge tag… Then give someone else’s choice a try! Share the news so you don't have to share your food -- click “Send to a Friend” now.